Drought conditions across Colorado were nearly unchanged this week, with the southwest remaining the most heavily impacted portion of the state. Routt County saw drought shift from extreme to severe and was the only area with a change for the week. Extreme and exceptional drought continue to cover just over one third of the state, however that is an improvement from just a few months ago when nearly half of Colorado was in the two worst drought categories. The outlook over the coming months offers some hope for the southwest and south central portions of the state. West central and northwest Colorado expected to remain largely stable, with much of the area in remaining in severe and extreme conditions. Courtesy NOAA Climate Prediction Center. Drought outlook for November 15, 2018 through February 28, 2018. 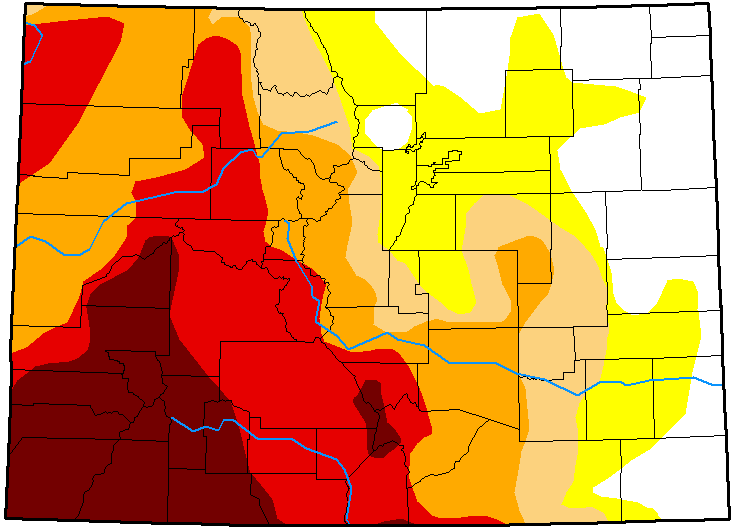 Eastern Colorado has largely moved into drought free or abnormally dry conditions during the late summer and early fall. In the southeast, severe conditions continue to impact El Paso, Huerfano and Las Animas counties, with some severe conditions also reaching up through El Paso, Elbert and Lincoln counties. Overall, drought free and abnormally dry conditions held steady at 17 percent each for the week. Moderate drought continues to impact 11 percent of the state. 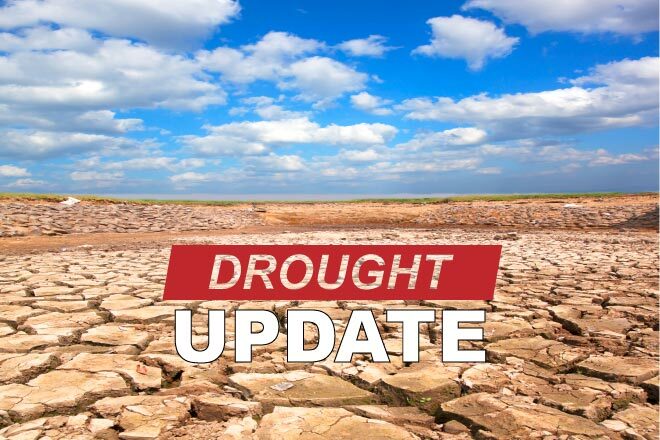 Severe drought was unchanged at 21 percent, while extreme drought dropped one point to 20 percent. 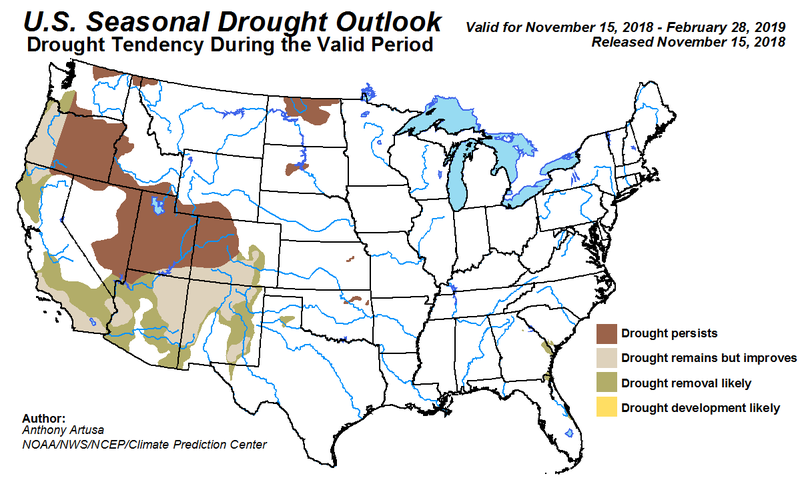 Exceptional drought was steady at 13 percent. Due to rounding, the total does not equal 100 percent. One year ago, 67 percent of the state was drought-free, while 20 percent was abnormally dry. Thirteen percent of Colorado had entered moderate drought.